Bonsuny restaurant furniture is a trademark of Guangzhou Liangjiu Furniture Co., Ltd. It is a professional furniture enterprise integrating research, development, production, sales and supporting services of restaurant furniture. 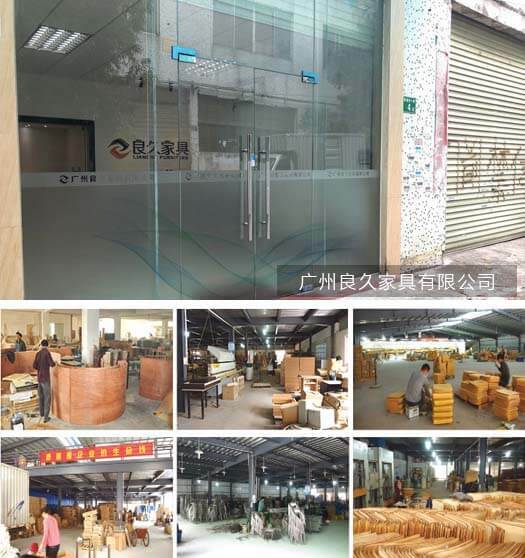 The company was founded in 2008, and its headquarters and production base are located in Panyu, Guangzhou. The district is less than an hour's drive from Guangzhou Baiyun International Airport, Railway Station, Huangpu Terminal and major logistics bases. The transportation and logistics are extremely convenient. The company is committed to providing high-quality standards, humanized furniture products and professional restaurant furniture solutions for well-known chain catering enterprises and enterprises at home and abroad. After years of development, it has become one of the well-known furniture brands. Bonsuny Furniture adheres to the research and development concept of “practical, easy to use and durable”, and provides integrated furniture solutions for well-known chain catering enterprises and enterprises at home and abroad. For ten years, Bonsuny Furniture has served thousands of well-known restaurant chains and enterprises. Looking forward to the future, Bonsuny Furniture will continue to adhere to the corporate values ​​of “Customer First, Teamwork, Advance with the Times and Integrity, Dedication, Passion”, and work with all of its peers to help China's catering industry develop faster and faster.